On December 3rd in Mokdong Seoul at the SBS office building, SBS held a production press conference for its new Wednesday Thursday drama. The drama Remember, is written by Yoon Hyun-ho, directed by Lee Chang-min, and produced by Logos Film. Everyone attended including leading actors: Yoo Seung-ho, Park Min-young, Park Sung-woong, Nam Goong-min Jung Hye-seong and all of the production staff. The drama Remember is about a lawyer named Seo Jin-woo(Yoo Seung-ho) who suffers from hyperthymesia (excessive memory syndrome). He needs to fight the (legal) system in order to free his father (played by Jun Kwang-ryul) who has been wrongly imprisoned. 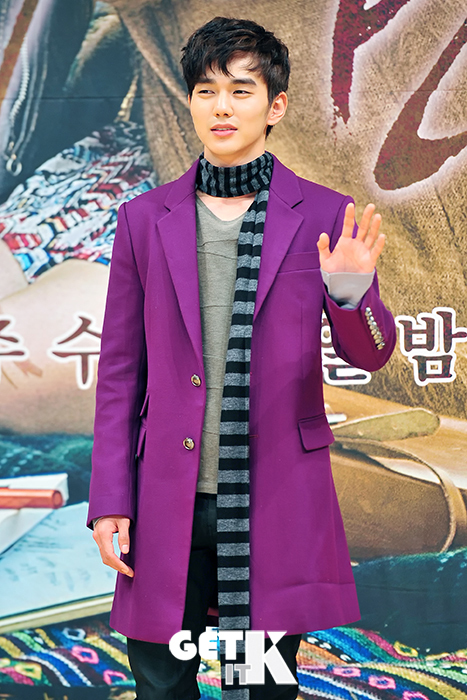 Yoo Seung-ho plays Seo Jin-woo, a genius lawyer with perfect memory. Yoo Seung-ho said the reason he chose to work on this project was “The script alone seemed really exciting, and I’ve never played a lawyer before, so it got me even more interested. The excessive memory syndrome isn’t a good ability for Jin-woo. He used it to become a lawyer and save his father, but it has a hidden negative side. I chose this drama, because I think the pain my character feels will be able to be felt by the viewers at home as they watch. Yoo Seung-ho, on the subject of acting with Park Min-young said “Not even I know what is going to happen until the script comes out. I will try to save my father, but as for romance…” “I still don’t know yet. I have to quickly save my father,” he said with a blush and a smile. About meeting Park Min-young “When I started work on this drama and I saw Min-young, and got flustered. The character In-ha just came out at me. I was super nervous. I got used to it as we shot together. Min-young did really well, so it improved the shooting overall.,” he said conveying his thanks. About prospective viewer rating he said “I talked about viewer rating in a previous interview and I said hopefully 25-30%. I realize that these days it might be harder to hit those numbers. So I’m going to say 25%. I will work with Min-young to hit our target.” He said hopefully. Yoo Seung-ho concluded by saying “I put a lot of consideration into how to portal Jin-woo’s struggle to save his father, in a way that viewers can share in” He concluded. SBS’s new Wednesday, Thursday drama Remember begins broadcasting December 9th and 10pm.